I've been hanging out at #ECET2 for a a day now and it has been a wonderful experience. I've had a chance to connect with old friends and make new friends and share great stories. #ECET2 is a wonderful idea to bring teachers together to celebrate the work they are doing and promote teacher leadership. This has been a very positive environment for all teachers and it has been great to see teachers feel so empowered and embraced. You can tell that this is very out of the ordinary for them. It's sad to think that these teachers, most teachers probably, do not feel appreciated on a regular basis. I'm very lucky to have been given a opportunity to attend this event by the people who invited and my building principal that allowed me to come. I would encourage teachers to find a local ECET conference near them or reach out and try to organize your own in your state. It has been a wonderful experience so for and I cannot wait to see what else I will learn over the next 24 hours. This past year, I've been very lucky to be part of an wonderful group of educators put together by TED-Ed. 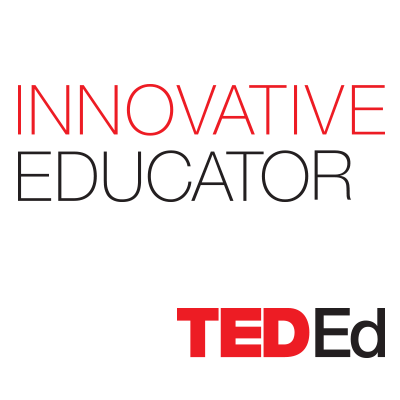 The TED-Ed Innovative Educator cohort has been an amazing experience for me. I haven't written much about it, but I wanted to change that today. As part of the cohort, we needed to come up with an innovative project. This could involve students, staff, or both. I was really stressed over this. I always just come up with ideas and see how they go. Creating something that is supposed to be innovative from the start was just something foreign to me. I was not sure where to go with the project, but I knew who to turn to. My cohort and the leaders from TED-Ed making this group happen this year have been amazing. They have been supported of me through my stress of choosing a project and trying to get it going. They have also been an amazing support group for when school and life get crazy and I needed a place to share. As a group, I feel like we have really come together and helped each other when we needed it. I've met some awesome people and have made some great connections. We are spread out all over the world, but our love of teaching knows no borders. When I finally needed to come up with something, I decided to give my students the chance to be innovative in my innovative project. I was taking over a new class that needed some tweaking. The one tweak I brought to the table was to give my students one day of the week to work on an innovative solution to a problem. The first quarter focused on solving a problem they encountered in their daily life and the second quarter revolved around a problem in the community or the world. It was a but like 20 Time and Shark Tank combined. I had students design their own earbud wraps so they would not get tangled in their pockets. I had a student create a knee brace for a specific condition she was dealing with in sports. I had another student spend their time trying to design a submersible that would clean the ocean and run on the garbage it collected. Two students worked on an app that would connect people who wanted to adopt dogs to shelters in their area. The list goes on from there. These students were highly engaged in their work and really loved what they were doing. One project is even going to be piloted in our district after the student presented their bathroom pass scanning creation that runs on Raspberry Pi! It was great to see students working on things that they created on their own. Their excitement has led me to get my hands dirty with different tools as well. It has been a great experience for teachers and students. Now that the semester is over, I can reflect on the the project and I can see all of the places I would change the implementation. To some, this might cause extreme amounts of anxiety. It will probably cause me some, but I know that my TIEs will be there by my side to help me in any way they can. 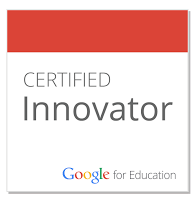 Interested in applying to be an Innovative Educator? There is some time left! Sign up closes January 29th. Fill out the application here. I've been on a making binge lately. My wife called it my new obsession. She's right. I'm obsessed with taking ideas and using the tools available to make it happen. I've been playing with Raspberry Pi and I have written about playing with it and using for gaming and computing. I ordered a small 7 inch screen for my Pi because I wanted to create a portable device. Here is the screen with the Pi and the controller connected. It's not practical to walk around with all of this, so I needed to come up with a solution to my problem. I took some measurements, drafted some ideas on paper, slept on the design, thought some more, and finally started to print out pieces I designed on Tinkercad. Here are some shots I posted on Instagram. My NerdyPi beta design. The screen plugs into the wall and the #RaspberryPi draws power from the screen. Need to work out some design details, but it's a good rough draft. Failing has not been this fun in a while. The most important thing I can say about this very rough draft is that I screwed up big time in many different ways with this project. My measurements were not as accurate as I would have liked. I had to print some spacer bard on the front and on the side (The red bars). Trying to print the large part in black in one piece was a mistake and one of the pillars broke off on the front. I used Krazy Glue to bind the pieces together, but it just looks messy. I've learned so much from this experience. I know where my mistakes were and how to correct them (I think) so the next version will be better. I have a better understanding of Tinkercad and my printer. I even have some better ideas on to improve the design and possibly change it to function like a briefcase so the screen is fully protected if I travel with it. The best part about these failures is that I get to share them with my students. I've been very open about my work trying new things out and I have a group of students that see me most morning to talk tech and design. Some of them have started their own Pi projects and are excited to see where things are going with my projects as much as I am excited for updates on their projects. As an educator, I feel it is important to share those failures with students and to let them know that it is just a step in the process. I have learned that my public failures can help me and others see that trying something new can lead to great leaps in learning. I want to lead my example for my students and I'm very lucky to have the chance to do that using these tools. I'm having the most fun failing in a very long time. It's a love a learning and problem solving that has kept me going. I want to make sure that school is still a place that inspires students the same way. One of the things I can be bad at from time to time is vanishing during lunch. I get so overwhelmed with everything at school, I just hide in my room and try and get everything done. That might be fine for a day, but it can be bad for a teacher if it becomes a common occurrence. Lunch is a great time to connect with colleagues and share how the day has been going. Depending on the grade level you teach and your schedule, you might not have any other time during the school day for adult contact. Lunch offers you a chance to have a grown up conversation. Connecting with peers can lower stress levels and remind you that others are dealing with similar issues. Sharing these stories and possible solutions can be good for everyone. The next time you find yourself eating your lunch over a student assignment for the 3rd day in a row, break out of your room and join the other teachers to share a laugh or two. I've already spent some time with Raspberry Pi, so I thought it was time to take the next step and see what I could do with Arduino. For those who do not know, Arduino is a general purpose microcontroller that can be easily programmed. It can connect to the Internet, move motors, turn lights on and off, detect motion, and anything else you want it to do with the correct code and add-ons. With the right amount of time, I can set up my Raspberry Pi to make the Arduino do things. The possibilities really get me excited. The first thing I needed to do was get used to using Arduino and some simple projects. My first one was making a LED turn on. It was just plugging a few things in and running the code, but it was cool to watch it turn on because I did it. It was cool. I did a few more projects over the course of the next hour that involved LEDs. I made a dimmer and programmed one to blink and different intervals. It was cool to plug the pieces in and see the code on the computer screen. I was learning how all the components line up to run power to each part. Again, it was very cool. I hit a wall when it came to setting up the LED screen. I was supposed to be able to plug it all in and I could then have the screen read whatever I want. I got the screen to light up, but no words. Blurg. I like that I hit the wall. I want the challenge. I want to know why it wasn't working. I want to spend hours looking at the diagram and seeing where I went wrong. I know that once I learn these basics, I can start to do bigger things. No joke, but I could build a robot. For $65, I was able to get a nice sized starter pack with 20 projects. From there, I can expand and tweak these basic projects and turn them into something bigger. The Internet will provide me with even more ideas when I'm ready. Now, this is just one nerdy teacher having some fun on a Sunday afternoon. Imagine setting up these projects for students in your class or in the library during lunch for students interested in giving these a go. If I want to create a space where all students can explore the world of Making, I need to be familiar with some of the tools that are out there. You might have thought Arduino and Raspberry Pi would be cool, but you don't know where to start or are afraid to try something out of your comfort zone, but I'm here to tell you if you do not take the risk, why will a student? Put yourself out there and be the Maker you have always wanted to be. Stay tuned for more Arduino and Raspberry Pi updates in the near future. It all started with a student project and it has led me to dive into the world of Raspberry Pi. Students are working on a way to scan student IDs so they can come in and out of the classroom without disrupting the teacher to sign a pass. They chose to use a Raspberry Pi. I had never used one and had only heard about them from friends on occasion. I was blown away at the work they were doing, so I wanted to learn as well. So, I ordered a Raspberry Pi kit from CanaKit. I ordered the complete kit so I could have wifi and really see what I can do with it. I was so excited when it arrived. I quickly went online and started to look at the different things I could build with my new Raspberry Pi. I found a few different sites that lets you turn your Raspberry Pi into a video game emulator. The best one and the one that I ended up using is called RetroPi. I was shocked at how easy it was to set up! It was just loading the file on the SD card and then putting the SD card into the Pi. From there, I was able to place games on the Pi. Now, it is not ethical or legal to download games, ROMS, that you do not own and place on an emulator. There are plenty of open source games our there that you could download and play on your Raspberry Pi that are worth looking at. Here is one of many different sites you can check out for all of your gaming needs. If you want to take some of your old games gathering dust in a box and place them on the Raspberry Pi, here is a great article that can show you how to do that. After plugging everything in, I was able to play some fun games. However, I had a Raspberry Pi exposed on the floor with wires all over. I felt like I needed to find a case for everything. This is where my (limited) 3D Design Skills come in handy. I went online and found many different case possibilities for the Pi. The one I decided to use and alter was a great design that looks like an old Nintendo. I downloaded the file and uploaded it to Tinkercad to make some edits. I called it "Raspberry Prov". Here is what I was able to come up with for my Pi. I found a couple of USB SNES controllers online for about $8 and set them up to use for the ROMs I downloaded. It was tons of fun. I was able to bring it over to my brother's house for Christmas and show him some games. It was fun to design the case and it was fun to download the emulator, but I was looking for a bigger challenge. I was hungry for more Raspberry Pi! For my next project, I went to Adafruit and started to look around at some of the projects they had there. Adafruit is a great resource if you are looking for supplies to Make cool things and/or projects. I found a great project to make a portable touchscreen Raspberry Pi. I needed to get a bunch of supplies and was very nervous because I do not have experience soldering. Here is what I was able to do over the course of a couple of hours. I encountered some problems trying to get the correct software on the SD card and the screws I ordered were not the right size OR I did not design the case with the right size screw holes. They sort of fit, but not very well. Despite those issues, I was able to say I created a small touchscreen computer! I never thought I would be able to do this. The main reason I'm sharing these two nerdy adventures is because I feel strongly that we need to give our students more opportunities to do things like this. The feeling of making something from scratch, or using Scratch, to create something is an amazing feeling. I never thought I would be able to do any of this. Math and Science were subjects I always thought were out of realm of understanding. I wish I had these types of tools growing up. I would have felt more confident trying new things if I could have gotten my hands dirty and tried to build things. As educators, we need to look at our ever changing world and see what we can do to support our students and give them access to tools to help them in their educational journey. 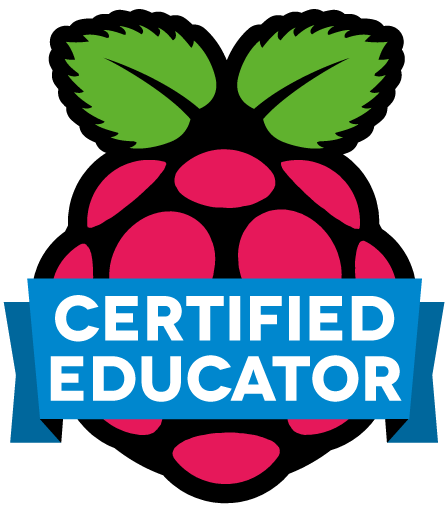 I see so much value and potential in using Raspberry Pi in the classroom and Makerspaces. I'm very excited about what the future has in store for me and for the students at my school as I work to introduce Raspberry Pi. My next adventure is going to be focusing on using Raspberry Pi and Arduino to automate something awesome. I've been a big advocate for Project Based Learning. I love watching students create something brand new and share it with the class. I love the look on their face when they finally figure something out and are excited to let everyone know. One of the hard parts of being a super nerdy teacher is getting out of the students' way and letting them explore the project at their own pace. I currently have students who are working on a project involving Raspberry Pi. I have never used Raspberry Pi before and was eager to learn along with the students as they worked on the project. As they encountered problems, we worked together to brainstorm solutions. At one point, it hit me. I'm not a member of the project. While it is fun for me to help the students work on something that interests me, I can't be the one that does the Google search to find out why the wifi is not connecting. I can't be the one to figure out why the SD card will not format on the Mac. I love a challenge and want to answer questions and solve problems, but they need to be my problems, not the problems students are having on a project. I'm not saying that students should never receive help from teachers. That would be crazy. I'm suggesting that it is important to remember that there are times where it is important to let the kids try and figure it out and explore the possible solutions on their own instead of doing it for them. When I realized I was helping too much, I simply stood up and told them that I trusted they could figure it out and let me know when they solved the problem. I think students need to know that their teacher trusts them to solve their own problems and not just do it for them because it is easier. That trust can help build confidence in students and encourage them to try different things and look to tackle larger problems. Some people will call it grit or some other buzz word that is popular, but it is just a simple matter of letting kids do the work and learn from their failures and their successes. Even though I am super excited about their project and I ended up buying my own Raspberry Pi kit (posts coming soon), I need to remember that their learning journey needs to come first and then I can learn from them when they are done. Side Note: This is the 6th anniversary of this blog and it is crazy to think how much has happened since I started. I've really grown as a teacher and I love that I can share that with others. Thanks to all of you who have taken the time to read, comment, and share. I'm very lucky to be part of a great community of educators dedicated to being better and sharing their knowledge with everyone. I took the past two weeks off to get away from the grind of social media and school. I just needed some time away from the noise. I did not have to spend time checking for @ mentions or respond to others. It was about getting me back to center. It was the best thing I could have done. I was not sure how I was going to get back to center, so I just took it easy and let the ideas come to me. One of the first things I did was just play around with Tinkercad.com. I wanted to get better at using it, so I I thought it would be fun to design some things. I looked around and saw some cool designs others had created for bow ties and I thought it might be cool to try making a bow tie I could wear on Tie Tuesday when school starts in the New Year. Here is what I was able to create on my Dremel Idea Builder. I liked it, but it was very thin and I had a hard time getting the clip to fit just right. I was frustrated, but determined to give it another go. Even though I could have tossed and spent the rest of the break playing Fallout 4, I really liked that I was being challenged by myself to complete this task. That was the best motivation I could ever need. After doing some more measuring and tinkering, I came up with my final print that was a bit more complex, but fits great and I will be wearing it on Tuesday. Here I am with it. I was so excited to have this completed and be able to wear it to school. It is like a badge of honor that I can say I designed it and I printed it at home. It is very Nerdy and it is very me. The entire design process was so invigorating. I've never been much of a drawer, so I just assumed I could never design anything. I have been so excited to spend more time using digital design tools to shape ideas that have been running in my head. It's something I never thought I would do, or even need to do as an English teacher, but it really has given me an exciting new energy that I can really apply in the classroom. I've realized that being a Maker or a designer has nothing to do with what subject you teach. 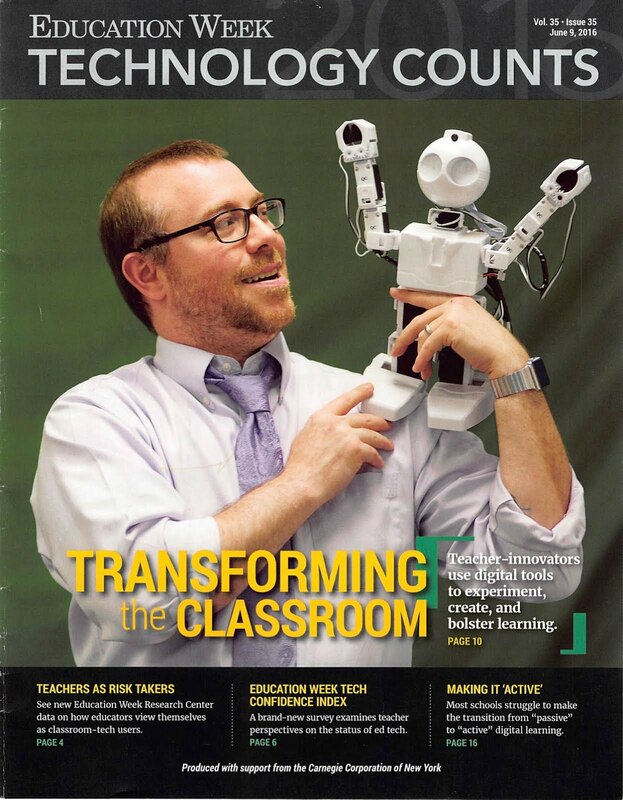 All teachers are Makers. All teachers are designers. The design process takes time and needs to be carefully done. I had almost forgotten how much trial and error had gone into many of my lessons that are strong and only require a tweak here and there. I have been almost spoiled by how easy it is to teach the lessons that have worked for years. It has not always been that way though. Designing these bow ties, and other items to be featured in other posts, brought me back to the first few years of teaching. I'm going to make things that look good in my head and on paper, but end up terribly in practice and execution. As teachers, we are all designers and we need to remember that in our first few years and our 15th year. Bringing these ideas to the students is going to be the focus of my next post. 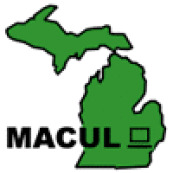 If you are a Making Teacher and have made cool things, leave a link below so others can check them out.